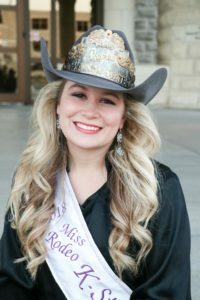 Miss Rodeo K-State, Bailey Jo Jeffries is the 20 year old daughter of Brian and Mary McGinley of Augusta, KS. Bailey is a senior at Kansas State studying Animal Science and Equine Science. 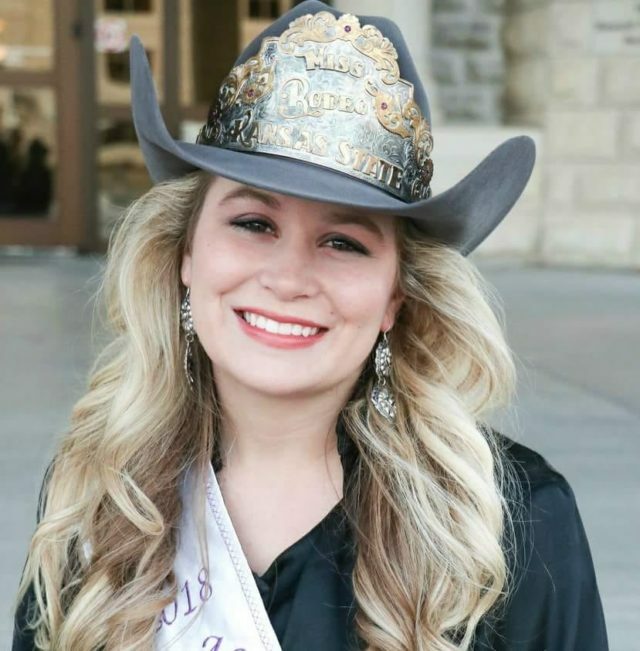 Bailey was a team member of the K-State Horse Judging team and currently serves on the executive board for the rodeo club. In her free time Bailey likes to show cutting horses and work with younger horses. She hopes to pursue a career in Equine Reproduction. Bailey is thrilled to hold the Miss Rodeo K-State title and is very excited to travel the state of Kansas representing rodeo and Kansas State! 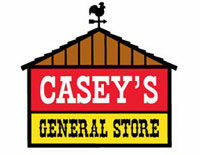 Look for her this summer in Abilene at the Wild Bill Hickok Rodeo!